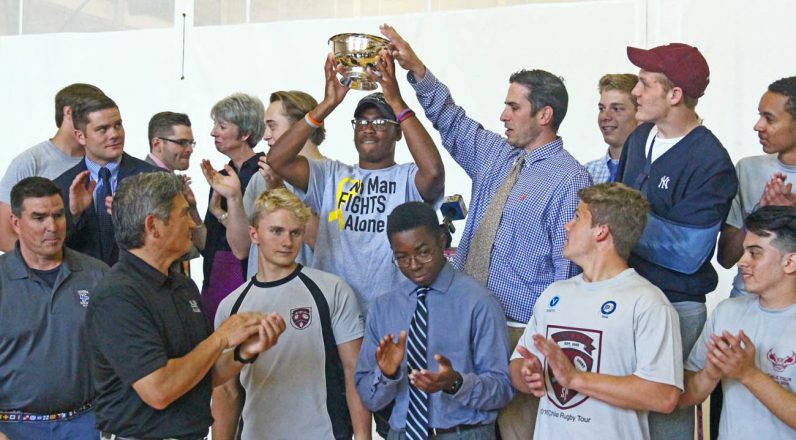 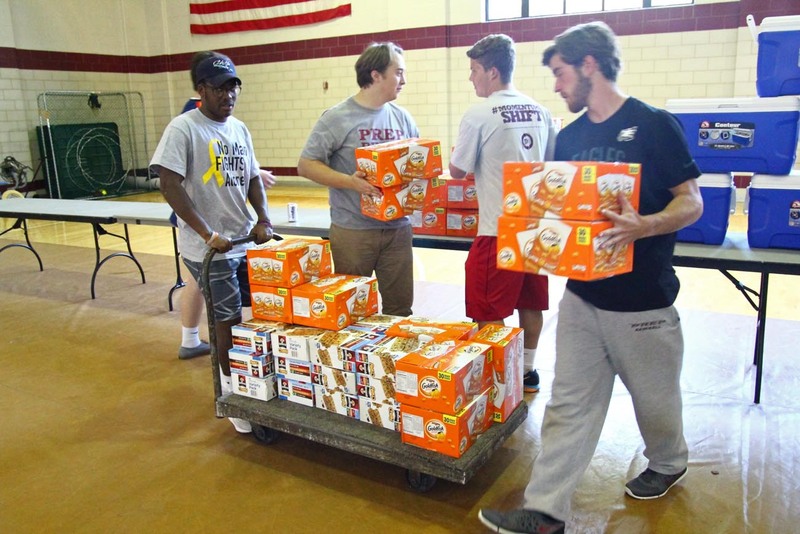 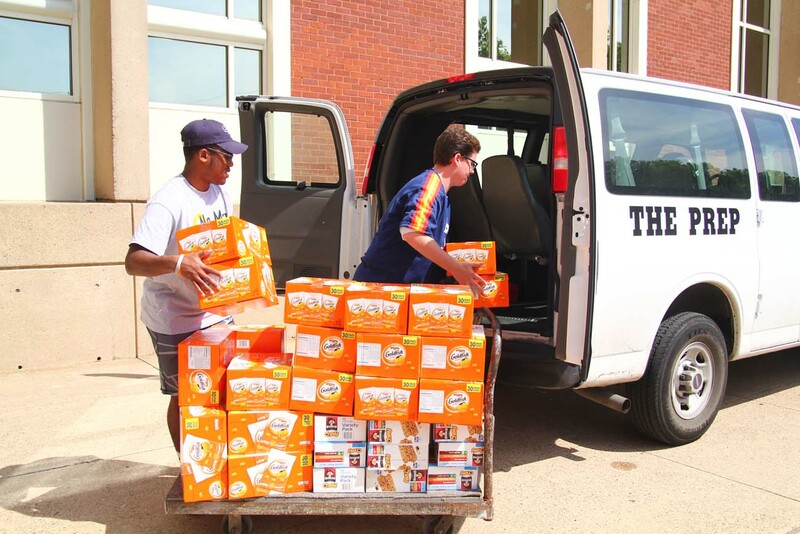 Rugby player Xavier Steward and Pat Gellespie, president of St. Joseph’s Prep Hurtado Food Pantry, load up snacks for delivery to Germantown’s Face to Face. 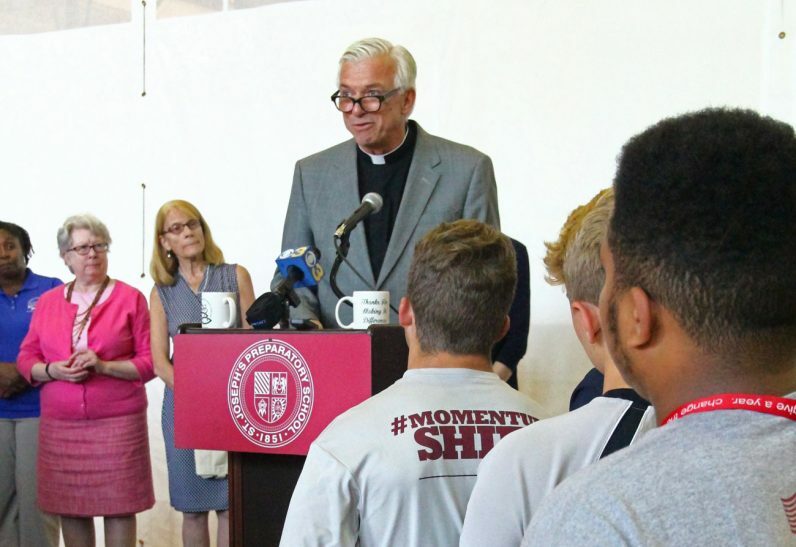 Father John W. Swope, S.J., president of St. Joseph’s Prep, speaks to students and guests May 20 at the school. 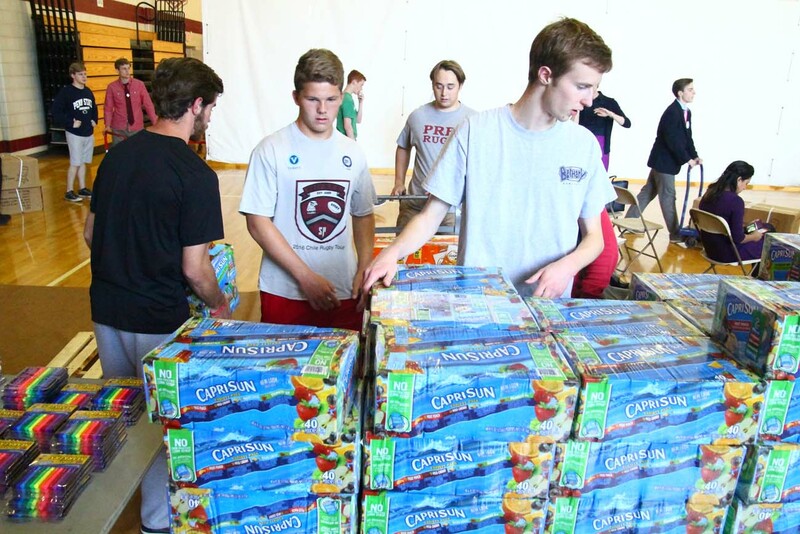 Students from St. Joseph’s Prep load up fruit drinks to be delivered to Nutritional Development Services for their Summer Meals Program.